Features more that 100 personal stories by OA members writing about their challenges and recovery, explaining how they work the OA programme. Features more than 100 personal stories by OA members writing about their challenges and recovery explaining how they work the OA programme. Included are stories international OA members covering various stages and aspects of recovery: Newcomers, Recovery from relapse, Long term recovery and Welcome Home OA’s beloved story of outreach to compulsive eaters around the world. 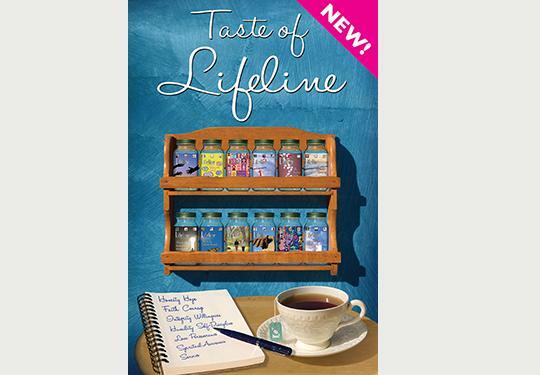 Also Taste of Lifeline has journal questions to complement each chapter so that you, your sponsee or your group can gain new insights and strengthen your recovery. Soft Cover 195 pages. Copyright 2015. This A6 Notebook is a small handbag sized notebook, designed as an aid to recovery to be used everyday, acting as a reminder of one of the key tenets of the OA 12th Step Programme ‘Just For Today’.